This pair of earrings are on hand made ear wires with soldered balls to enhance the sparkle. 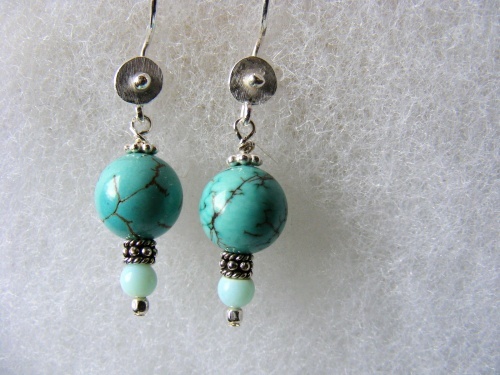 Turquoise beads are hung with bali silver spacers to make this pair truly unique. Measure 1 3/4" from top to bottom.